Our Charity Golf day is held each year at the start of June at Mere Colf and Country Club in the heart of Cheshire. The quality of the golf course is only one of the many ingredients which contribute to the experience. Attention to detail is what distinguishes the good from the great; at Mere Golf and Country that’s what they do. The Everlast Group Charity Golf event is special and unique, providing you with the time to network relax and enjoy the company of like-minded professionals. We hope that a sense of anticipation will be created and ultimately allow us to deliver a memorable experience each year. Mere delivers on all fronts; simply, quietly and professionally. The experience and matchless sense of occasion start on arrival and continue throughout the day. We hope you will agree It is the ideal venue for our charity golf day. Surrounded by the breath taking Cheshire parklands the James Braid designed golf course is undoubtedly one of the best prepared and well-conditioned golf courses in the North of England. The 18 hole, 6,882 -yard, par-71 course was created out of 150 acres of Cheshire parkland in 1934. The surrounding mature trees, rhododendron bushes and the lakeside setting add considerable charm, and provide challenging hazards. Water, ravines and thick vegetation have been incorporated into the layout so that care and accuracy are demanded both off the tees and on the greens. To prepare for the challenges of The Mere's golf course offers players a unique, floating golf ball driving range, two-tier pitching green, putting green and bunker practice where you players can warm up before a round. 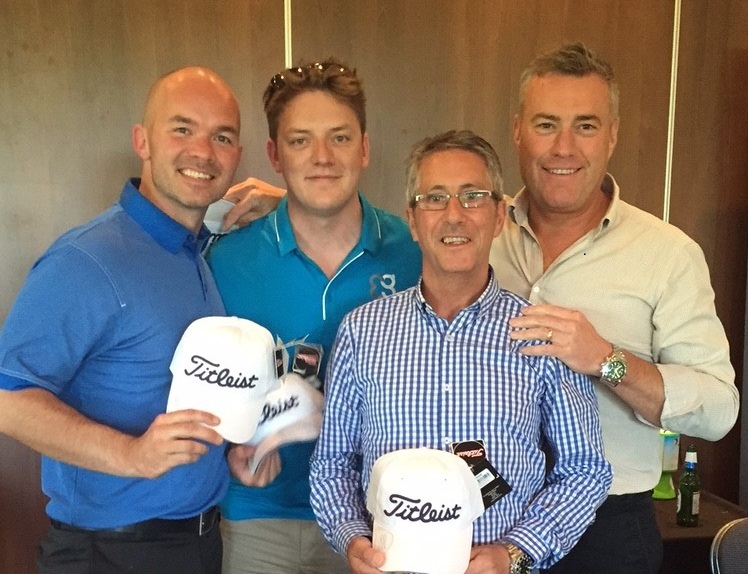 A big thank you to all who took time out of their busy schedules to support our charity golf day. 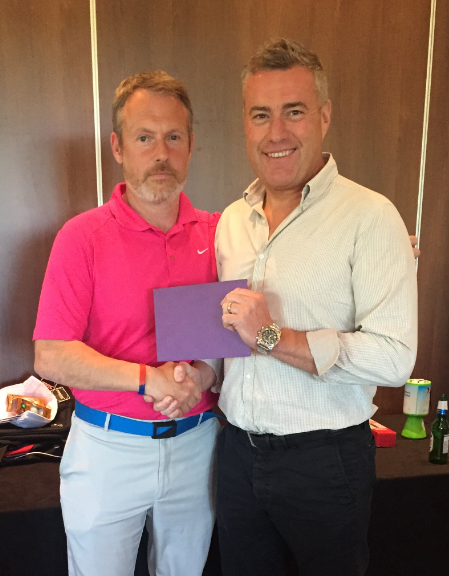 I am pleased to announce that our auction and raffle on our Charity Golf Day raised £540 for Leeds Children Hospital. The event was won by the team from Sika LPL with a score of 84 points and the individual winner was Neil Humphries from Sika LPL Also. Congratulations to all. Our Charity Golf day is held each year at the start of June at Mere Golf and Spa in the heart of Cheshire. The quality of the golf course is only one of the many ingredients which contribute to the experience. Attention to detail is what distinguishes the good from the great; at Mere Golf and Spa that’s what they do. The Everlast Group Charity Golf event is special and unique, providing you with the time to network relax and enjoy the company of like-minded professionals. We hope that a sense of anticipation will be created and ultimately allow us to deliver a memorable experience each year. Mere delivers on all fronts; simply, quietly and professionally. The experience and matchless sense of occasion start on arrival and continue throughout the day. We hope you will agree It is the ideal venue for our charity golf day. Surrounded by the breath taking Cheshire parklands the James Braid designed golf course is undoubtedly one of the best prepared and well-conditioned golf courses in the North of England. The 18 hole, 6,882 -yard, par-71 course was created out of 150 acres of Cheshire parkland in 1934. The surrounding mature trees, rhododendron bushes and the lakeside setting add considerable charm, and provide challenging hazards. Water, ravines and thick vegetation have been incorporated into the layout so that care and accuracy are demanded both off the tees and on the greens.To prepare for the challenges of The Mere's golf course offers players a unique, floating golf ball driving range, two-tier pitching green, putting green and bunker practice where you players can warm up before a round. We hope that the day was enjoyed by all and look forward to running the event again next year.